LG SL5Y 400W 2.1-Channel TV Soundbar System delivers up to 400W of total power, which includes a 220W wireless subwoofer for enhanced bass. 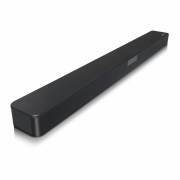 Bluetooth is built into the soundbar for pairing with other Bluetooth-enabled devices, such as smartphones or tablets. Once paired, you can wirelessly stream audio from your connected source. 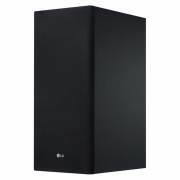 At 35″ wide, the SL5Y is recommended for displays 40″ and larger. The soundbar has HDMI, optical, and 1/8″ inputs for connecting wired audio sources to complement the aforementioned Bluetooth connectivity. An optical cable, soundbar wall mount bracket, and remote control are included for added convenience. 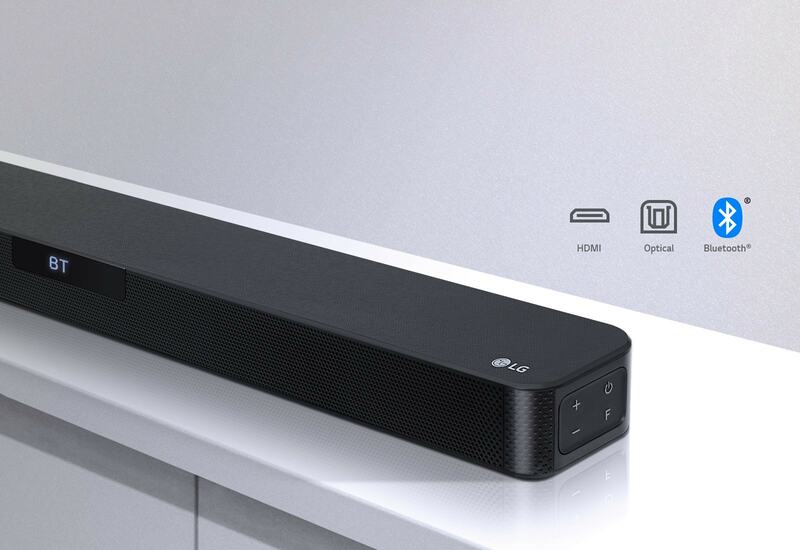 Bluetooth connectivity lets you connect the soundbar to your compatible LG TV via LG Sound Sync, or to your Bluetooth-enabled device for wireless streaming. The onboard processor provides enhanced sound quality for Hi-Res Audio sources up to 24-bit/96 kHz. 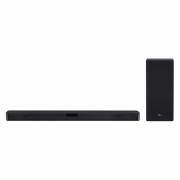 You can place the soundbar on a piece of furniture or mount it to the wall above or below your display. 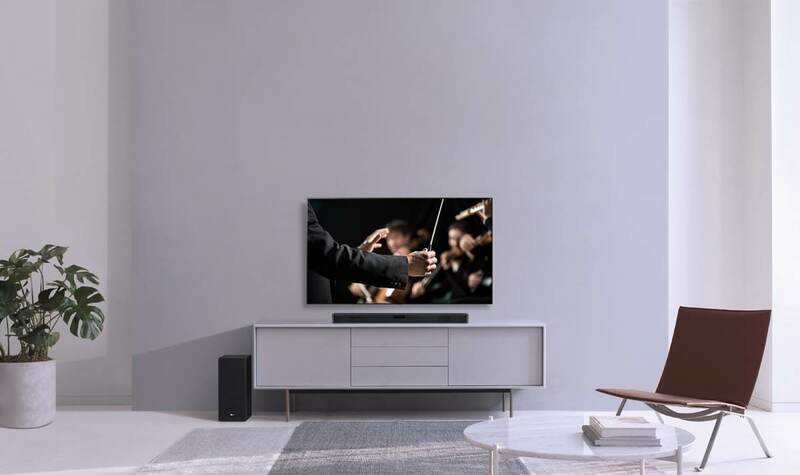 The soundbar can automatically adjust the sound level as you switch from action to drama to sports, or when a show takes a commercial break. Expand the soundbar system to a 4.1-channel surround sound setup with the optional SPK8-S system. 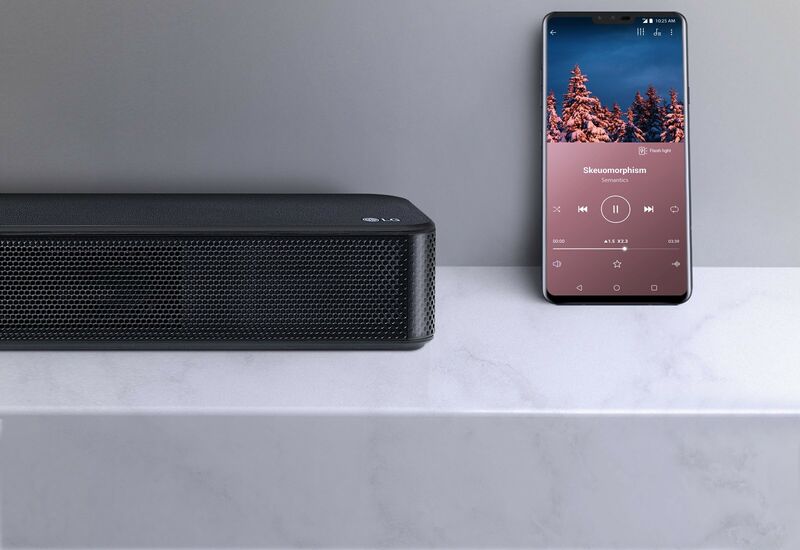 It includes two rear speakers and connects wirelessly to the soundbar system. 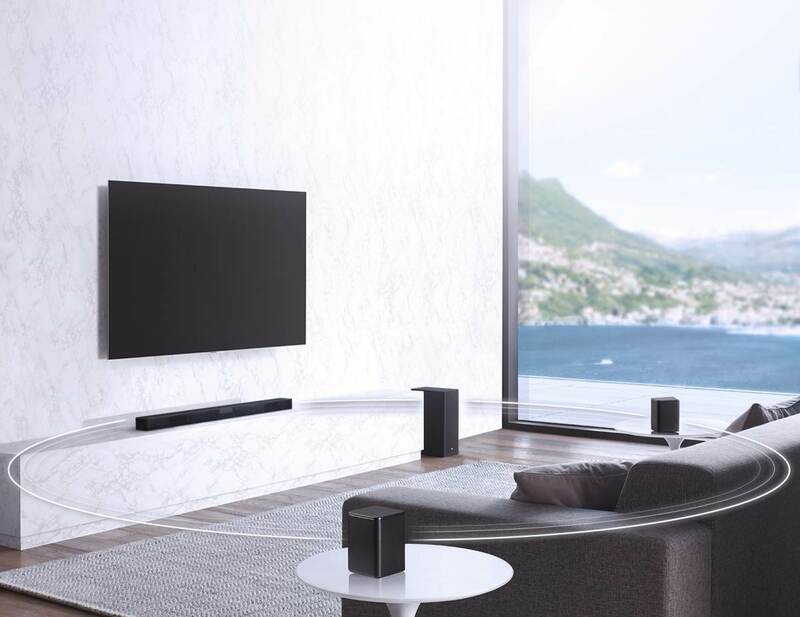 The sound bar that’s a stunning addition to any LG TV with a modern aesthetic that fits perfectly with your home theater and interior design, whether it’s mounted on a wall or displayed on a stand. 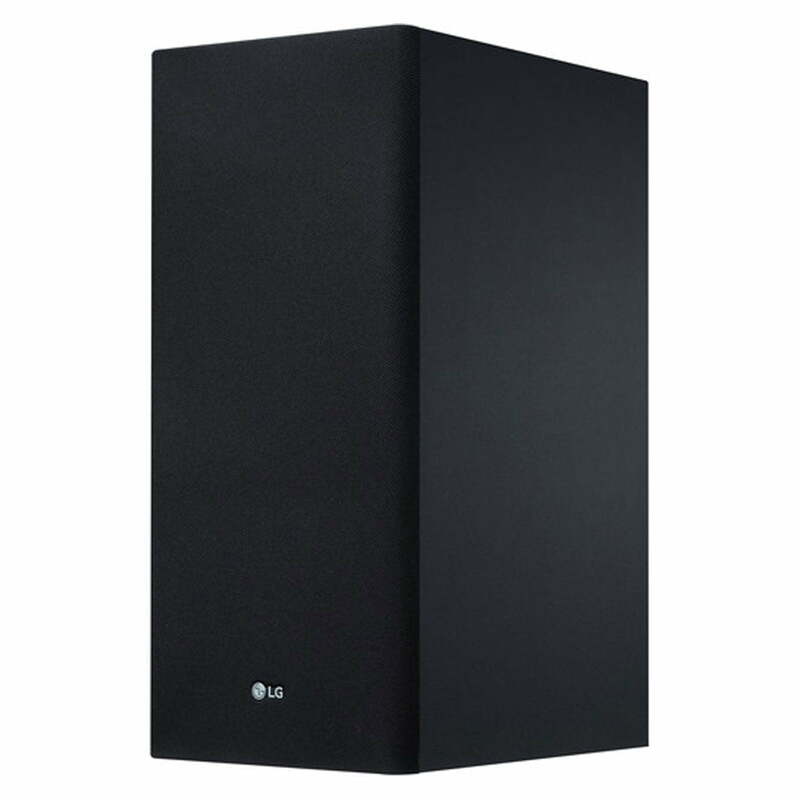 Leading audio processing technology provides sound quality that surpasses CDs, and allows you to enjoy a stunning 24-bit/96kHz audio resolution — as close to original sound as you can get.